There are few things I love more than helping others and shopping. Belk is allowing shoppers to do both on November 9th at their Belk Fall Charity Sale. Belk’s Fall Charity Sale on Saturday, Nov. 9, provides a unique opportunity for customers to support local charities while taking advantage of special discounts of 20-70% off of purchases made during the four hour event from 6 to 10 a.m. In return for purchasing a $5 ticket, customers get great buys on rarely discounted merchandise and other items throughout the store. Plus, customers receive a $5 credit on Charity Sale purchases completely offsetting the cost of the ticket. Charities get to keep 100% of the proceeds from each $5 ticket sold. The first 100 customers in each store on the morning of Charity Sale will receive free Belk gift cards ranging in value from $5 to $100, and a chance to win one of three $1,000 Belk gift cards awarded company-wide. In addition, all Charity Sale participants will be entered into a drawing to win one of three $1,000 cash awards (one in each of the three Belk operating divisions) for their school or non-profit organization. 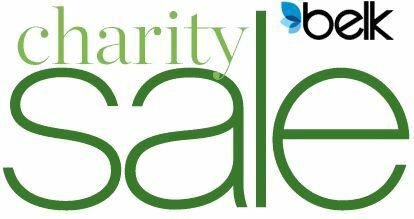 For more information about Belk Charity Sale Fall 2013, customers can contact their local Belk store or visit http://www.belk.com/charitysale. Click here to see Belk's Fall Fashion Preview. Note: the $5 Charity Sale Ticket discount credit is valid on the first regular, sale or clearance purchase, including cosmetics and fragrances. Purchases of Brighton, Diane Von Furstenberg, My Flat in London, Ugg, and Under Armour are excluded. The discount is not valid on phone orders or belk.com. No cash back. Limit one $5 discount per customer. Are you planning to attend the Charity Sale? This is why I love bloggers, I had no idea this was going on! Thanks so much for the information, I'm going to pass this on to my friends as well.